Quiz: Is Your Dog Training Class Up to Par? Home > Puppy Training > Quiz: Is Your Dog Training Class Up to Par? We all know it’s important to train our dogs - and joining a training class is one of the easiest and most sociable ways to do this. However, a badly-run class can actually do you and your dog more harm than good! Not only can it undermine your confidence but it can encourage more bad behaviour in your dog: either due to using unnecessarily harsh methods which damage the trust between you and your dog, possibly even causing your dog to develop fear or defensive aggression – or by not providing enough guidance and discipline so that your dog has no respect for you as a pack leader and therefore starts trying to dominate you. While there are a variety of different training methods and styles which will suit different types and temperaments of dogs, there are some basic standards which all good training classes should meet. 1)	Does the trainer allow owners to observe the class before deciding to join? 2)	Is the class size limited? 4)	Does the trainer have any dog training qualifications? 5)	Is the trainer a member of any recognised dog training or canine behaviour associations? 6)	Does the trainer use a variety of methods and adapt them to suit individual dogs’ needs? 7)	Are the dogs in class relatively sociable? 8)	Do the methods include physical punishment of the dog, such as shaking the scruff, hitting or ‘alpha rolling’ (forcing the dog onto his back)? 9)	Is there a separate class for puppies and adult dogs? 11)	Is proof of vaccination required to join the class? 12)	Are voice commands given in cheerful, positive tones (no yelling or shouting)? 13)	Are trainers willing to spend time after class to answer questions? 14)	Does the trainer have experience training pet dogs and not just show dogs or dogs for obedience/working trials? 1)	Yes – all good trainers and training classes should allow new owners to watch the class and even ask questions of the current (and past) members. 2)	Yes – it is important for classes to be limited in numbers so that all dogs and their owners can receive individual attention. 3)	Yes – while there is no doubt that there is the occasional need for disciplinary techniques depending on the situation and the dog, most dogs learn best through positive reinforcement when they are rewarded for appropriate behaviours by a food treat, attention and praise from their owners or play with a favourite toy. This encourages them to repeat those behaviours in the hopes of earning more rewards. 4)	Yes - dog training is one field which is completely unregulated and therefore, anybody can set up as a dog trainer. This means that standards can vary hugely. In general, it is best to look for a trainer who has some dog training or canine behaviour qualification, although remember that this may not necessarily be an indicator of quality. Remember also that many “older” trainers started training dogs long before canine behaviour qualifications became the norm and therefore while they may not have the papers, they have a wealth of experience and skill which may more than make up for any lack of qualifications. The best thing is to interview the trainer and find out more about their knowledge and experience. 5)	Yes – again, membership of a dog training association may not assure quality but it is often a good sign of a responsible dog trainer who upholds certain standards and who makes an effort at professional development. 6)	Yes – beware of a trainer who claims to have one method that will work with all dogs. 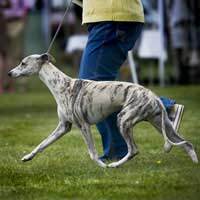 All good and experienced trainers understand that all dogs are different and may require different ways and training techniques to be successful with them. They should be open and willing to adapt and change their methods to suit the individual dog’s temperament and background. They should also be willing to adapt their methods to suit different owners, as not all humans may be able to apply the same training techniques with the same success. 7)	Yes – Since training classes usually involve many dogs together in an enclosed space, it is important that the dogs involved are relatively sociable. While it’s certainly true that most dogs come to training class in order to improve their behaviour and therefore, they can be expected to behave quite “badly”, no dog that is seriously aggressive or anti-social should be allowed to join a training class. Not only is this potentially harmful to other dogs (they may be attacked and suffer a bad experience, leading them to develop aggression issues) but it is also detrimental to the difficult dog involved: if it is seriously aggressive, a normal class situation will not help it resolve its issues or learn to behave more appropriately – instead, its bad behaviour will be reinforced as it is (inadvertently) allowed to behave aggressively towards other dogs in class. Similarly, if it is anti-social by being very shy and timid, the boisterous behaviour of other, more confident, sociable dogs in class may put too much pressure on this dog and cause it to lash out and use aggression to defend itself. 8)	No – run away from any class which advocates using harsh physical punishment methods to control and train the dogs. While certain punishment techniques may have their place with certain types of dogs and when conducted by experienced dog trainers, most pet dogs and their owners should be encouraged to use positive reinforcement / reward-based techniques as their first resort. 9)	Yes – it is important to have separate classes for puppies and adult dogs, especially as the former have shorter attention spans and may require different training techniques to older dogs. In addition, training classes for puppies may involve a larger element of socialisation and less “formal training”. 10)	Yes – it is important to have different classes catering to the different abilities of dogs and owners, otherwise a beginner might become in a class full of advanced members or an advanced dog and owner may become bored in a class full of beginners. It is good to have a progression of skills and classes to continually challenge the dog-and-owner partnerships and to encourage the philosophy that training should be continued for life. 11)	Yes – all reputable training classes should not allow any members to join until they can show proof of vaccination. The exception to this is classes for very young puppies (eg. puppy pre-school) – these should be conducted in safe premises (eg, the veterinary clinic) and only admit puppies of similar age. 12)	Yes – good training classes encourage owners to use a cheerful, speaking tone when giving commands to dogs, as opposed to the old-fashioned style of yelling a command in a loud, aggressive manner, in the mistaken belief that this was more likely to make a dog obey. 13)	Yes – a good trainer, like any good teacher, should always be open to questions and make time to listen to any concerns that members of his/her class might have. p14)	Yes – if you own a pet dog, it is important that your training class is geared towards this and the kinds of skills your dog will need to navigate in the human world he normally inhabits, eg, walking in busy towns, riding in cars, interacting with children, playing in parks with other dogs. Many trainers may be skilled in training for specific dog activities, such as Obedience or Conformation Show but these types of specialised training may not be so useful for the everyday life of a family pet. Make sure your trainer understands the needs of a family dog and has experience dealing with the issues that may crop up with a family pet.